On February 12th, between 07:00 and 07:40 am, human rights defender Obtilia Eugenio Manuel and her companion Hilario Cornelio Castro disappeared. They were last seen in the town of Tierra Colorada in Guerrero, Mexico. Obtilia works for the Organization of Me Phaa Indigenous People and in years past has received accompaniment from PBI. She is a beneficiary of provisional measures granted by the Inter-American Court of Human Rights, but the measures were not being adequately implemented. 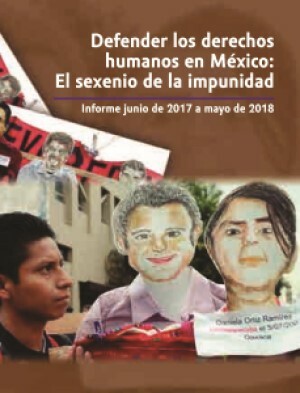 From PBI we observe certain important actions from the new government of Andrés Manuel López Obrador (AMLO) that favor the protection of human rights defenders in Mexico. At the same time, we have noted a few tendencies that concern us. In this article we look at a few achievements and challenges for the new government and the reactions from Mexican and international civil society about the first few weeks of the MORENA government. Land, territory and environmental defenders face extreme levels of risk throughout Mexico. In fact, Mexico is towards the top of the list among countries with the most attacks against environmental defenders.